How are the Goats Cared For? How are the Kids Cared For? Care of kids is a controversial subject, and many people have chosen not to drink milk because of the calving/kidding practices on most dairy farms. 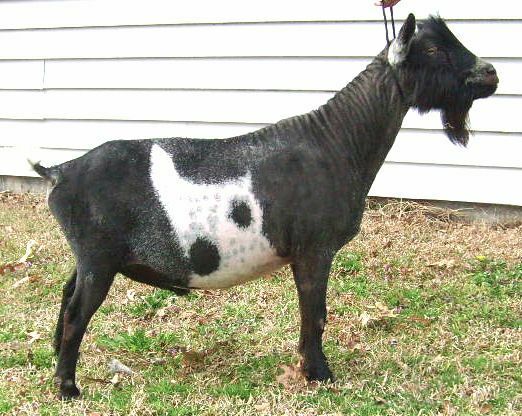 Like all mammals, cows and goats must give birth in order to produce milk. In CAFO operations, these calves and kids, considered the “byproduct” of the dairy industry, are taken from their mother within the first few hours of birth and (in the case of calves) raised alone in small cages for veal. Even in most organic and small-farm dairy operations, calves and kids are separated from their mothers within a few days after birth, often to ensure that the mother produces the highest amount of milk. Here at our farm, we find it easier and less stressful to keep babies with their mothers unless medically inappropriate, and milking does not start until the kids are at least 2-3 weeks old. After this, the kids are separated only at night and milking is done on a once a day basis until the babies are old enough to be weaned and are getting the majority of their needs through hay and grass. We try to stagger our kidding time so that we always have plenty of fresh milk, but sometimes we have a little less in the winter, which is a sacrifice we’ll gladly make to ensure the health of our kids! 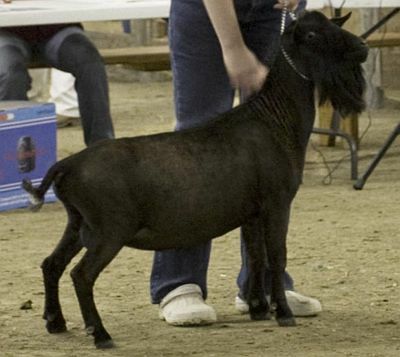 One of the reasons we chose Nigerian Dwarf Goats for our own personal milk production is that the milk from Nigerians tastes better than the milk from any other breed. The reason for this has to do with the milk’s butterfat content. 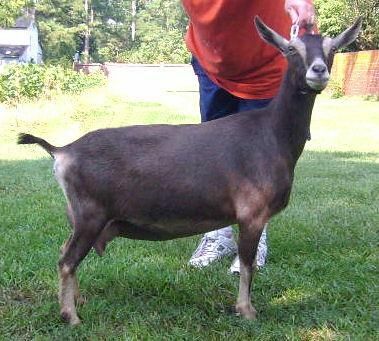 Butterfat is what gives milk a sweet taste and Nigerian goat milk is higher in butterfat than milk from any other goat breed (2-5% as opposed to 6-10%.) Everyone who has ever tried our milk has remarked that it tastes exactly like cows milk (and some say it tastes better!) Goats milk is purported to have many advantages over cows milk, and can be consumed even by those who are lactose intolerant. Another large factor in the taste of milk is the type of grass or hay the animals are eating. Unlike animals living in confinement feeding operations, where feedlot managers can keep the taste of the milk uniform by feeding the same thing day in and day out (including waste products from the manufacture of human and animal food), our goats are given access to many different types of grasses and legumes. This means that the taste of the milk produced on our farm will often vary from week to week, as the goats are moved to new pasture, and from season to season. Sometimes it will be sweeter, saltier, creamier, or (if they hit a patch of onion grass!) a bit off-tasting. We expect and anticipate this as an integral part of consuming fresh, healthy milk. We are not a certified organic farm, but healthy animals are of the utmost importance to us and we do everything we can to keep our animals and their products free from all chemicals, medications and GMO’s. Our animals eat grass from chemical-free pastures, we feed organic, non GMO barley and grain from Windy Acres Farm in Tennessee and we supplement with minerals from natural sources such as herbs and sea kelp. As previously mentioned, we treat our animals with herbal remedies whenever possible and have a long-term plan to breed for parasite resistance. We chose to get into farm­ing after feeling personally convicted against the practices of the industrial food system (including the “organic” food system! ), and it is our desire to go “beyond organic” in the treatment and care for our animals. YES! We encourage everyone to visit the goats (and sheep and chickens! 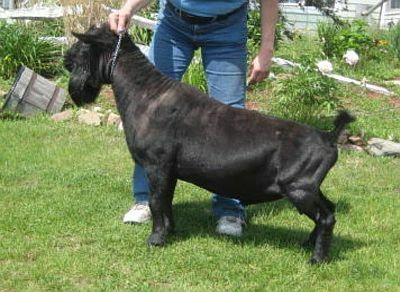 ), especially if you are considering purchasing one of our animals. Milking classes are also available. For reasons of safety, we ask that anyone who wants to come and visit make an appointment with us first, and we’ll be happy to schedule a day to show you around! Below are a few links that explore the benefits of fresh, raw goats milk! We are located near Bowling Green, KY and would be happy to answer any questions you may have regarding raw milk, caring for goats (or sheep or chickens!) and milking. Please don’t hesitate to contact us at 27o-779-o445 or email Rina [at] RinaMarie [dot] com and we’ll do what we can to help! We will soon be taking reservations on our 2019 kids! Thanks to Jim and Kathy Sullivan of Jasper Pine, and Jill Maple at Sinai Thunder we have some of the best dairy genetics in the Nation. We try to choose kids according to the needs of their owners, placing show quality kids to homes with the desire to show, and kids whose dams have proven themselves as milkers to those homes who desire high production. Please note that it is impossible to predict how an animal will do in the show ring or in milk production, however, and we cannot guarantee performance in any area. We guarantee the health of our goats when they leave our farm, but cannot guarantee the health of an animal once it has left our farm. 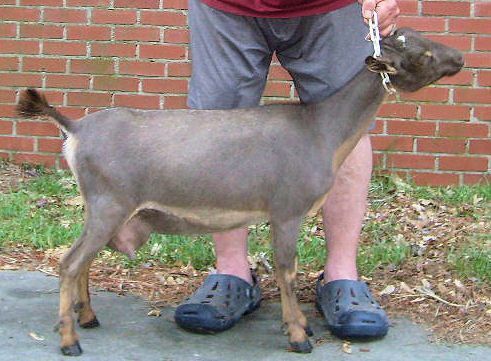 If a kid should become sick or die prior to shipment or pickup, we will transfer your deposit to another goat. 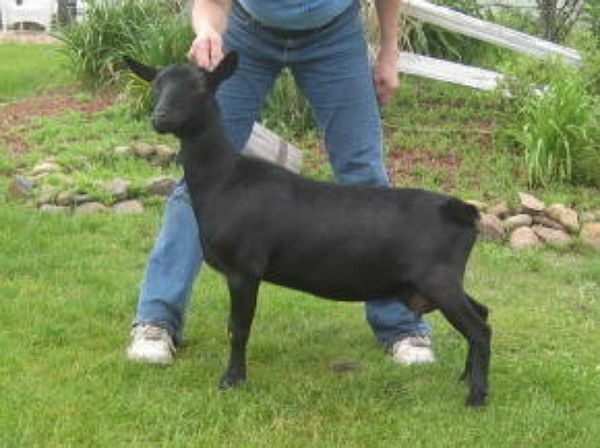 We reserve the right to keep any doeling or buckling of our choice, and cancel a reservation at any time. If this should happen, a full refund will be returned to the prospective buyer. All of our goats are registered through either AGS or ADGA and can be registered through both. Pricing is based on milk production, worm resistance and overall health of the dam. Kids from proven does start at $300 and does from first freshers start at $200. We do not sell breeding bucks from first freshers. A deposit is required for all reservations and we cannot reserve any goat for more than 3 weeks after birth. 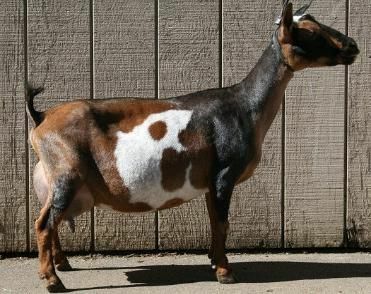 PLEASE NOTE: several goats of both sexes will be reserved for The Milk Enough Project this year. Goats are sold on a first come, first serve basis. As a second fresher, Sudoku was regularly giving 3lbs per day, and last year she consistently gave an average of 5lbs of milk per day at peak production and maintained high production throughout the season. She has excellent udder formation, large, easy to milk teats and we have high hopes that she will follow in her dam’s footsteps (ADGA top ten milker in 2011) as she matures! What a beauty this girl is! Sharp, refined and elegant, she is smoothly blended with great length of body, level sloping top line and diary skin. She has tight shoulders with a correct shoulder assembly and a long, graceful neck. Scotch freshened with tons of dairy character and a wonderful udder. She is incredibly graceful when she moves and as level as a table top. 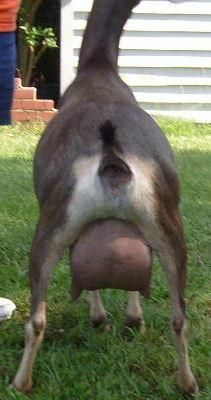 She has a strong MSL, a tightly attached udder with a nicely shaped escutcheon, plumb teats and a smooth extended for udder. 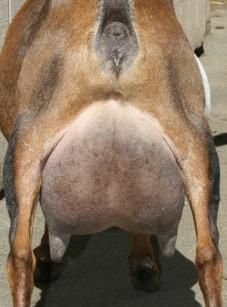 She is a beautiful doe with an outstanding udder, an easy milker with large orifices and a good stream of milk. SHOW RECORD: 1st class of 8,second numerous times standing behind her sisters, junior doe. 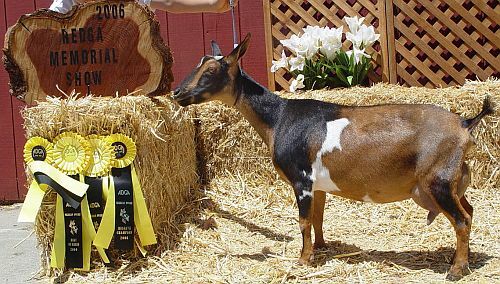 …..SS:*B CH Algedi Farm Drops of Jupiter *S LA 2011 EEE 91 E 23″ (Permanent score), ADGA: 2x Best Buck in Show, 5x Sr. Grand Champion, 5x Best of Breed, 3x Reserve Grand, 8x 1 place, 3x 2 place. AGS TOP 10 Production: 2003 #5mlk, #7BF, #5prot. 2004 #2mlk, #2BF, #2prot. 2005 #3mlk, #2BF, #2prot. 2006 #2mlk, #2BF, #2prot. *Holds the record for longest lactation*, 634 days, producing 2,194 during that time. AGS TOP 10 production: 1999 #5 milk, #4 protein 2001 #1milk,#1BF #1pro. 2001#3mlk, #4BF, #3pro. #1 for milk, butterfat and protein 2001. 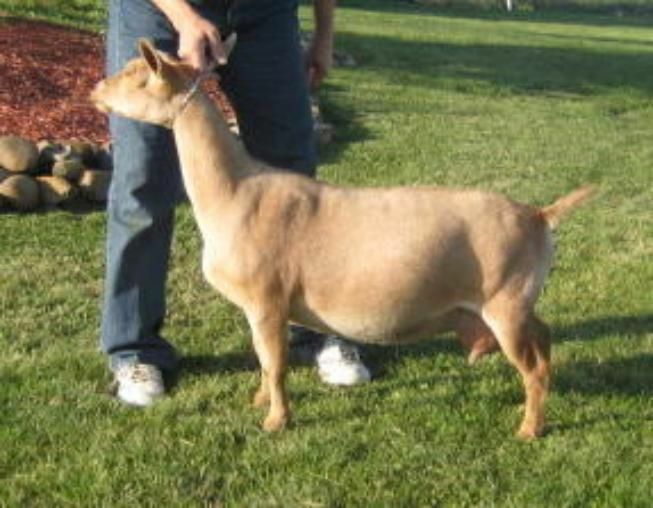 ……….DSS: *B CH Algedi Farm Drops of Jupiter LA 2011 EEE 91 E 23″ (Permanent score), ADGA: 2x Best Buck in Show, 5x SR. GR. CH, 5x BOB, 3x RS. GR, 8x 1 place, 3x 2 place.